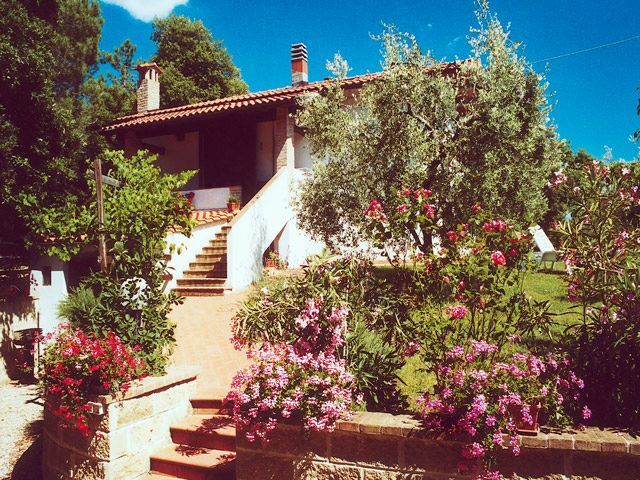 Casa Daniela ' is a a romantic country cottage . Inside the main rooms all have wooden ceilings and terracotta floor tiles . The furnishings are typical of the ' Tuscan ' style . The main room is a large living - dining room with well furnished kitchen . This room also homely Has a fireplace, armchairs and sofas. a pretty attic double bedroom and a second bed room for little baby with cot. a secon living lounge furnished with a sofa and armchairs. , Tables, chairs , sun loungers and barbecue, and children 's games. Tuscany offers a wealth of holiday makers to sun , excellent food and good wine . This villa is a perfect base for exploring the jewels of this charmingly region , rich in history and traditions.